How to make money from your blog? This is a question that has many new affiliate marketers wondering if they have made a mistake by starting a blog. The statistics are sobering – 90% of bloggers never make a dime on the internet. Side note: If you are thinking about starting your own blog or website, please check out our tutorial How To Start A Blog. I HIGHLY recommend that you switch to a self-hosted WordPress platform – it is just too difficult to successfully monetize a free WordPress blog. 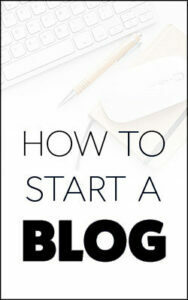 So if you really want to start making money from blogging be sure to read our easy How To Start A Blog Tutorial. Many people in today’s economy are looking to make extra cash fast. Many of these people are students, work-at-home moms and people who just want to work from the comfort of their own homes. We make many thousands of dollars per month online (September online income was $10.5k from our websites, check it out here) and in this short article we would like to share how we recently added another small ($50-$100 per month) income stream to our online passive income money making ‘machine’. Many people will not be particularly excited by the prospect of adding $100 per month to their income! But what we have realized is that most online income starts as a ‘trickle’ and over time becomes a ‘stream’ and then a fast flowing river of recurring passive income. The trick is to not give up when a new income stream is in the ‘trickle’ phase. If an online income source can make you $50 per month, it is highly likely that it can make you 10X, 100X or even 1000X that amount as you scale up and double down on what is working. In the blogging world, this usually means gaining more traffic to a landing page or blog post. We fully expect to grow this new income stream to a few thousand dollars per month over the course of the next 6-12 months. This is a Cost-Per-Action (CPA) affiliate strategy, which means that the affiliate (you!) gets paid when someone signs up or registers for a particular service (e.g. a paid survey). As you can imagine, the conversion rate is very high (>30%) because the ‘customer’ does not actually have to buy anything and you will still get paid a commission for them completing a registration form. So read on and we will show you EXACTLY how to make money from your blog very quickly. Here is the fastest method that we have ever used to earn money from a blog. If you follow these simple steps, we promise that you will see your first few dollars from it within a day or so! You do NOT need a lot of blog traffic to make some money from this method. However, you do need a blog (check out my how to guide if you don’t yet have one) and it needs to be in the financial, frugal living or make money online niche. 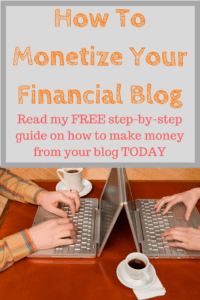 The financial niche for blogging is fantastic for so many reasons! You get to help people, make money and learn more frugal tricks etc! About 30% of people visiting your page will likely opt-in and you will be paid a commission for each one! Step 1: Sign up and test some of the legitimate paid survey sites (SurveyMomma is my favorite and the highest converting survey site that I currently promote). SurveyMomma can help people who need to make some extra money by paying them for their opinions. This is an important step as you must be able to write a review about the paid survey site and give an honest opinion of your experience. Let me repeat that! You MUST actually use any paid survey site before you promote it. This is essential because you do not want to be sending people to junk or scam sites (trust me there is a lot of those!). So go ahead and give SurveyMomma a try and then proceed to Step 2. Step 2: Now that you have tried some paid surveys that SurveyMomma has emailed to you, it is time to sign up for an affiliate link with our favorite CPA network (PeerFly) so that you can promote the survey site on your own blog. We have tried various CPA networks for survey sites and we have found that PeerFly is by far the best. If anyone else has a better suggestion for a CPA network please leave a comment so that other readers can try it! PeerFly has been reliable and a pleasure to work with. IGain is another great paid survey site affiliate program that we use alot. Step 3: Create a helpful blog post for people that are looking to make some extra month online (here is the one that I made that converts at around 38% for SurveyMomma survey sign-ups). I suggest that you write a brief review on your experience with paid survey sites and then recommend a few of the best ones to your readers. Include a few of your affiliate links to your PeerFly offers and if anyone signs up for a survey site, you will receive anywhere from $0.5 to $10 per completed registration (You can search and browse the various CPA survey offers available on PeerFly). No customer purchase is required for this strategy and your affiliate commission depends on the exact CPA offer. Currently, PeerFly pays us $0.6 – $1 per registration. Screenshot of our PeerFly Dashboard. We have had a couple of sign-ups to SurveyMomma every day. Not bad as we just just started this strategy a week or so ago. ***Update 11/15/17*** We have continued with this strategy for a month or so and income from PeerFly CPA is continuing to grow steadily. I thought it might be helpful to include screenshot of our 10 day earnings (like the one above) to show our growth. This strategy is taking time but income is growing steadily, check out our latest 10 day average below. Step 4: Drive traffic to your survey review page using Pinterest. This is crucial if you want to start making money from these affiliate survey offers very quickly! The reason most new bloggers fail is from lack of traffic and low conversions. This double whammy equals no money. We have found that Pinterest is much faster method for driving traffic to these offers than Google. To get ranked in Google could take months as the make money online niche is highly competitive. Pinterest is so powerful and with the right strategy you can drive 1000’s of people per day to your survey offers. Checkout this awesome ebook course on Pinterest Strategies that we used to get traffic from Pinterest to our online survey offers page. The author, Carly, is brilliant and the simple strategies work very well – We have tripled our Pinterest traffic to this blog since we took her course. You can see from this screenshot from the PeerFly dashboard that we have a staggering 38% conversion rate on SurveyMomma Opt-ins! $53 earned in the last week using this strategy. Hopefully this simple CPA strategy will help you to make some extra money online – please leave a comment if something is not clear and we will get back to you as soon as possible. Good luck with starting your affiliate journey and please let us know when you make some money with this strategy! I hope you implement this really simple CPA strategy on how to make money from your blog and please share this article on Pinterest if you found value in it.